Lacey Culpepper was born on Washington's birthday, February 22, which made her special. One of her ancestors was at Valley Forge with George Washinston's troops. My sons and I were there in 1976 for a special celebration on our way to Longwood Gardens in Northeast Pennsylvania. The first president of America appeared to Lacy on her 6th birthday. She'd wanted to see him and he came as a 12-yr-old. He explained that the had lived at Ferry Farm, when Mt. Vernon was the inheritance of his half-brother, Lawrence, on the death of their father. He was tall for twelve, and grew into a 6'2" adult. At age 15, he was a surveyor. Five years later, he was a major in the Colonial Forces. 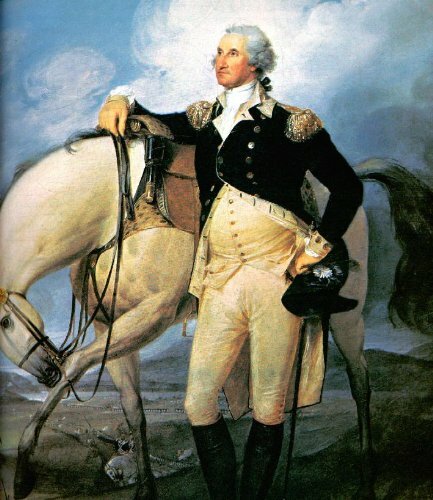 By the time he got to the crossing at Valley Forge, Pennsylvania, he was a general. It was winter when they crossed the river at night, perhaps close to his birthday. 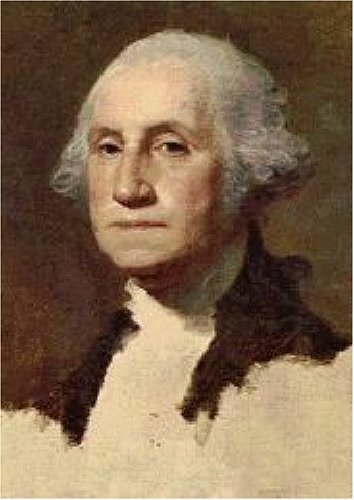 He was a good leader of men and helped to convert the thirteen colonies into the country where he was elected as president. He married Martha and had wooden false teeth which irritated his mouth and made it hard to eat. Now, he is honored with a brand-new gold dollar coin. Whatever happened to the Susan B. Anthony coin which a retired teacher gave to all babies she knew. His face is on postage stamps all over the world to compete with the profile of Queen Elizabeth. Even his portrait by Stuart was in the movie, "Bundle of Joy," right by the door of the shopgirl's apartment. His portrait is on our one-dollar bill and other U.S. currency. From 1869 until 1923, his profile faced to the left, then it was the opposite for some unexplained reason. He was in his sixties when most paintings were made; some tried to make him look like a perfectly formed hero. Instead of losing height like I am, he went from 6'2" at age 45 to more than 6'3" at age 67 (for coffin measurements). He always claimed to be six foot. Abraham Lincoln was 6'4". At age 26, George Washington weighed 175 lv. up to 210 (lost to 190 at 66 because of illness). He had blue eyes, a pale complexion, and large nose and hands. He wore spectacles from 46 on. He had a leadership appearance indicating power, energy and strength; he moved with grace and dignity. His personal servant was named Christopher (no last name). He was a good master to his slaves, although some reports were that his were badly clothed. Runaways always caused problems for him as with all planters, but Washington offered rewards for their return. His advertisments described in detail what they were wearing. He tried to have his slaves educated and baptized. He reportedly disliked slavery and yet he owned 300 on his properties in 1797 at his death. Illustrated. Formatted for the Kindle. Linked Contents and footnotes. Every President of the United States gives an Inaugural Address once sworn into office. 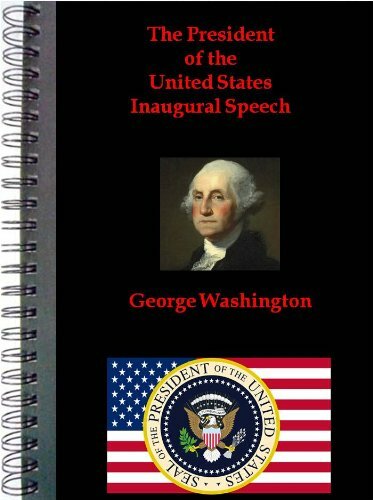 This book has compiled every Inaugural Address from every President in American History. 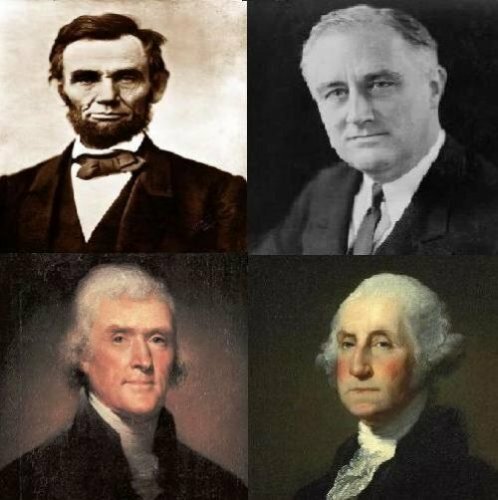 It is fascinating to read each Presidents perception of America's greatest strengths, weaknesses, trials, and joys in their speeches. The entire American history can be chronicled through these speeches - everything from George Washingtons explanation of the monumental task of nation-building that lies before him, to Abraham Lincolns somber speech explaining the enormous challenge of maintaining a unified nation, to Franklin D. Roosevelts unprecedented four Inaugural Addresses, each detailing the Great Depression, World War II, and The New Deal. In more recent history, it is striking to read Bill Clinton's and George W. Bush's promises to the nation and compare their statements to how events and decisions have made (or not made) these promises reality. America's newest President, Barack Obama, delivers a monumental inauguration speech that is a milestone for not only the Civil Rights Movement, but for any American that believes in liberty and justice for all. Women's Suffrage, the Civil Rights Movement, various wars, presidential assasinations, economic situations, and various threats and treaties with other countries come to life within this presidential context. Anyone who is interested in American History will find this book to be worth beyond measure. 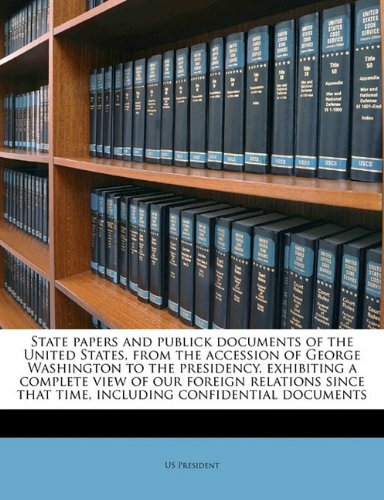 Through their own words, each American President's distinct character comes alive in these pages; even the most uninterested person will become completely engaged in this book, which will most certainly make a great addition to any collection. Inagural Addresses, Return to Sender. OK, at first I thought it would be interesting to read all the Inagural Addresses from Washington to Obama. Well I thought wrong. First, there is no Table, so you can not use the "joy" button to navagate to the next chapter. So if you are reading Lincoln's address & you want to go to JFK, you have to do a Search, then chose from the many Kennedy choices. The chapters between the addresses run together so you may be reading Washington & all of a sudden you are reading Adam's address. They could have made the reading interesting, but most of the Inagural Addresses were very dull. the book it is mind numbing long, drawn out & reads like a Who's, Who of Who cares. 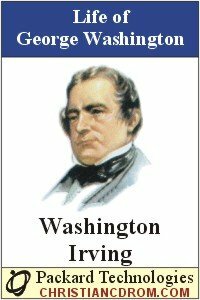 Washington Irving’s Life of George Washington (published in five volumes in 185659) was the product of his last years and remains his most personal work. Christened with the name of the great general, Irving was blessed by Washington while still a boy of seven, and later came to know many of the prominent figures of the Revolution. In these pages he describes them using firsthand source material and observation. The result is a book which is fascinating not only for its subject (the American Revolution), but also for how it reveals in illuminating detail the personality and humanity of a now remote, towering icon. 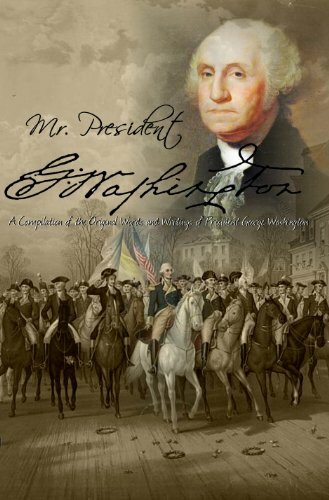 Here is an intimate portrait of Washington the man, from Virginia youth to colonial commander to commander-in-chief of the patriot army to first president and great guiding force of the American federation. But one cannot read Irving’s Life without marveling at the supreme art behind it, for his biography is foremost a work of literature. Charles Neider’s abridgment and editing of Irving’s long out-of-print classic has created a literary work comparable in importance and elegance to the original. George Washington, A Biography, Neider’s title for his edition of Irving’s Life, makes the work accessible to modern audiences. The extensive introduction provides a detailed analysis of Irving’s life and times, and the difficulties he faced as he worked against his own failing health to finish what he felt was his masterpiece. This new edition of the superb biography of America’s first citizen by America’s first literary artist remains as fresh and unique today as when it was penned. Now I want to say at the offset that although my review may become critical and doubtful of the brilliance of Washington as he is portrayed in this book, I am not looking for reasons to put the man down through nitpicking, but I felt that this was a very awestruck account of Washington and was a little biased as a result. 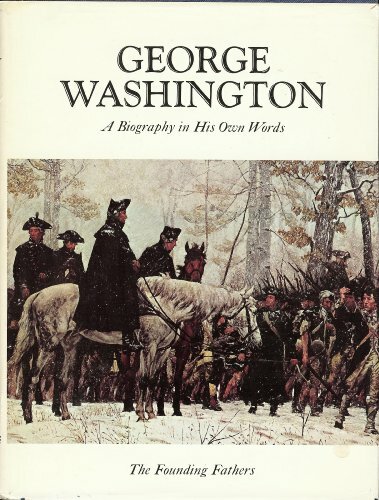 This is really an excellent biography of a man whose name transcends the time and nation in which he helped to create and even now, when you mention the name, George Washington, to even the most simple of non-Americans 99% of them will tell you he was the first president of the United States of America. That's the image everyone has of him; but very few, including myself until I read this, are familiar with his military history and prowess in the times of the revolutionary war. 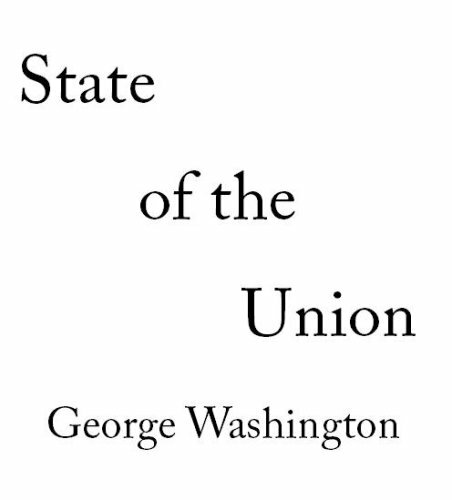 I'm not going to recite the history of Washington in brief terms as you can all find the stuff out you need to know by simply having a browse of Wikipedia, or better yet, buying this book. Washington Irving is a man who, as a young child, met George Washington and received a pat on the head from the great Commander-In-Chief. This definitely seems to have had an effect on the author as in his mind, the president can do no wrong and through recounting the man's history, he appears to be without flaw. As we know, however, George Washington was human and as a human he has his flaws like we all do. Irving seems to have missed any mention of a flaw of the great man and that made this feel more like biographical story book, rather than a full fledged biography which was disappointing. The story of the great mans exploits are really something to enjoy when you sit down and get into it. The tales of the revolutionary war are very heavy in detail and, as another reviewer said, a lack of maps or diagrams made it a tad hard to follow when it came to descriptions of particular destinations and so on. The descriptions of landmark battles and so on are really well put together and create an exciting atmosphere around the story the author is trying to put across. Because of the time it was written, there is also a lot of archaic language within the book which for some may be a bit hard going, but you will get used to it and become enthralled by the story you witnessing and picturing in your own imagination. There is no doubt that George Washington was a great man. After all, he led the United States to independence from Britain and became the first president of the independent United States of America. But, I still feel a bit disappointed by the bias displayed in this book and felt the man could have been better served had there been a more two sided analysis of his behaviour, rather than the obvious awe-struck discussion in this book. However, that's not to take away the fact that it is a superb read and if you have an interest in the revolutionary war, then this is certainly a book you want to pick up at one time or another. My sister, husband and I are reading about the history of our country from the founding on through to modern day. This book has been a part of a reading. It was a fabulous book with great detail. All you people that think they might enjoy a step back in time would really appreciate this journey. This was an excellent book.However be warned!It was written in the 1800s, and it is in the old English language style.You will need to keep a dictionary on hand, because you will be looking up a lot of words.I found it difficult to read because of the language style, but I stuck with it. The author of this book actually met George Washington once. I have read a lot about the Revolutionary War and George Washington.This book contained information that I had not found in any other book. For Christmas, I sent my son(who lives in Europe) American history books, among others, because our young kids are forgetting what our ancestors endured to creat this great nation. They didn't risked their lives and treasure for us to become Socialism. They would turn in their graves if they could see what is happening to our "soon not to be" a great country. Washington Irving's biography on Washington is by far the most detailed review on our first President from youth through his post Presidential years.Given that Mr. Irving personally met George Washington at the young age of 7, Irving's book has all the more relavence than today's revisionist historians can ever provide.However, the "old english" that Washington used in his correspondence makes for difficult comprehension.It is interesting to note that by 1850 the change to a more modern writing style by Irving presents a clearer picture of Washington's time, but it still requires an occasional re-read to fully understand Irving's point.A person with a limited interest in the Revolutionary War may be better suited to purchasing a more contemporary biography for ease of reading. The First Two Presidential Inaugural Speeches. 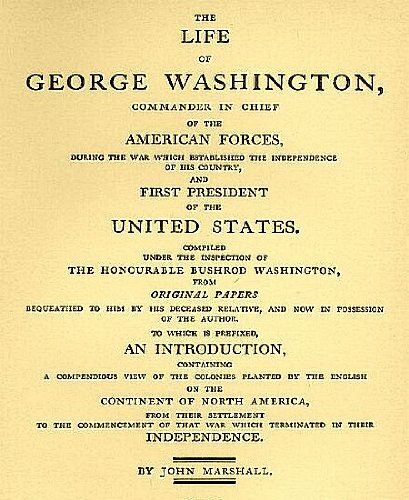 Here it is, the State of the Union Address by George Washington, every president makes one. This one is first. 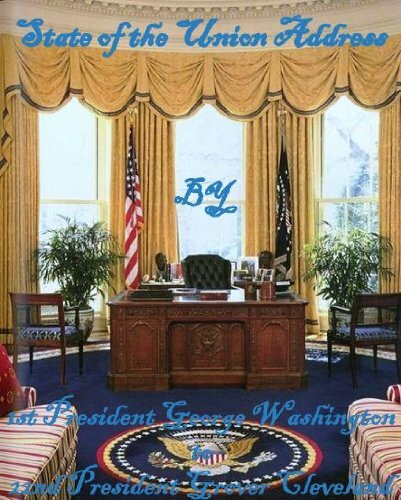 I received a copy of The Mr. President Series .. George Washington on Kindle from Dream Books LLC. as part of the Octour that I am participating in today. 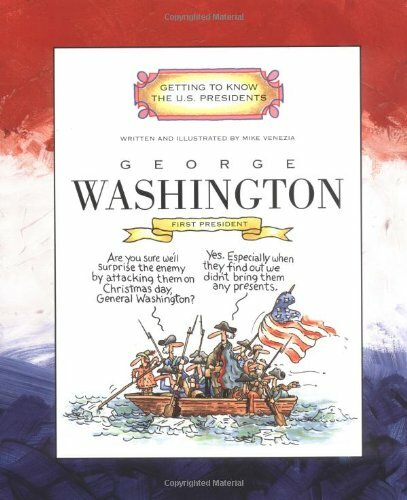 This is a very interesting book about our first president George Washington. 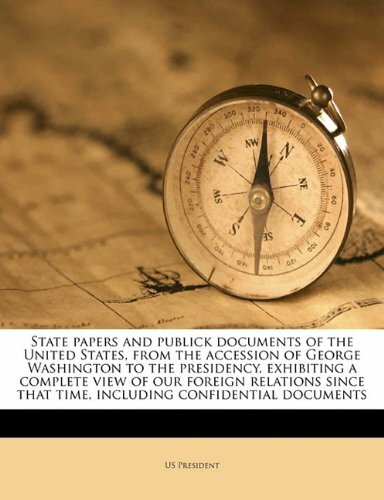 This book is a compilation of all Messages and Papers to and from Mr.Washington to the Senate, House of Representatives and the Committee of Congress. 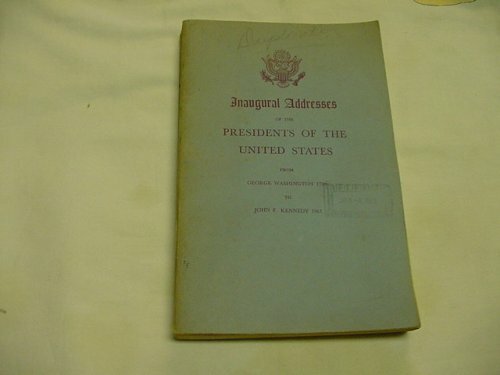 It includes his Inaugural Address, the first through seventh Annual Addresses and his Farewell Speech.Interestingly the book also contains Special Messages regarding the peace treaties between the first Americans and the U.S.It even has the Proclamation regarding the Thanksgiving Holiday. 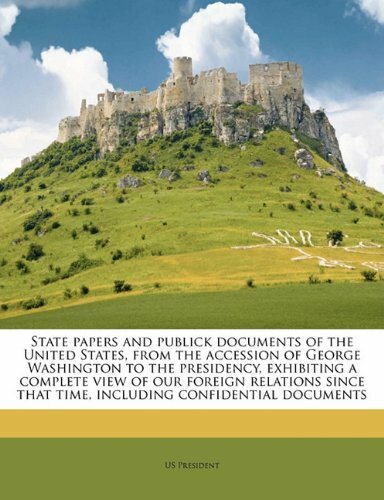 George Washington served as President for eight years and as this book is written word for word from documents of that time it can not get more accurate. If you like American history and are not put off by reading speeches than you will enjoy this book. THIS REVIEW IS TAKEN WORD FOR WORD FROM [...] - Do American's really understand what it was like to be the very first President of the United States? They probably know that he was from Virginia and that his father died when he was 11. They probably know that he didn't have children of his own and that he married a woman by the name of Martha Custis. But do they know what it was like as a PRESIDENT? The very FIRST president? 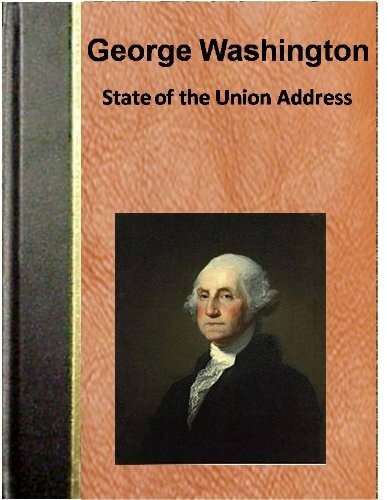 This book Mr. President George Washington lets you in on the secrets of what it was like. It is George Washington's own WORDS and his own writings. I had never before seen this side. To see what it was like to have to stand up to the citizens expectations. It shows a history in which few know and understand. He wasn't a boasting type of president. He was always humble and glad to serve his people. He accepted his term with dignity and grace, thankful that his people had chosen him to be leader. He was a general turned president and left behind great accomplishments for other presidents to follow. This shows how hard it was to be inside the very first inauguration. It had a lot of details planned out such as who came through which door to sit beside who, who hands this to the other, who follows this one to the other room to for the official sign in. It must have been like a screenplay or something. But overall this book was a good book, but if you get bored reading speeches then this book isn't for you. It is kind of hard to read it to be just reading it, because of the sophisticated manner in which they used to talk in. The very thought of seeing INSIDE the presidency is what captured me and pulled me in. Ifyou can read the bible then you can read this. It's just that I had to google some words to find out what they meant, because I had never seen nor heard of them before. The words were vicissitudes and predilection. But I would recommend this to someone if they were researching him or just wanted to know about him. He was a very inspirational man and he wanted a lot more for his country than we all knew about. This book lets you understand the sheer depths of this mans love for his country and his people.